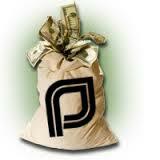 Planned Parenthood Needs More of Your Taxpayer Money–Myth Buster Report! At Iowa Right to Life, we research, analyze and report to you statistics that you might not have time to dig up on your own. We hope this information will empower you to educate your friends, relatives, neighbor and communities as well as write letters to your representatives and local papers. There are a lot of myths about Planned Parenthood needing more money-taxpayer money, your money. Is Planned Parenthood really that poor? Here is a look at Planned Parenthood’s profit and loss record over the last few years. Keep reading on page 3 of our latest newsletter.